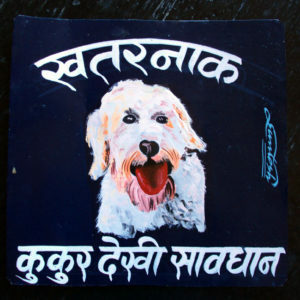 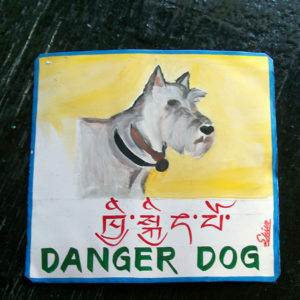 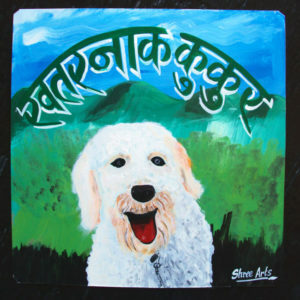 These delightful Schnauzer portraits are painted on metal by Nepali signboard artists. 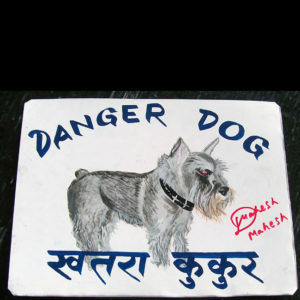 Beware of Schnauzer. 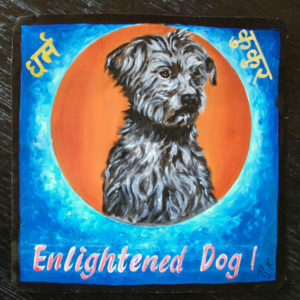 Mahesh hand painted this portrait of Chuckie the Schnauzer.